In another excellent post by Search Engine Journal, they list 5 crucial factors for following the best on-site SEO practices. If you haven’t already, you should click on the source link to get all the details. Each of these factors includes multiple subsections which further explain their importance. Below I’ve listed my thoughts on each topic as well as rehashing what the folks at SEJ think. Of course, on-site SEO should be your first concern before you plan on any external link building or promotional strategies. This particular exploit really hits close to home. WP Cost Estimation & Payment Forms Builder is a premium plugin that I’ve been using on this site for over a year. It’s a fantastic plugin that has allowed me to customize packages for web design and SEO clients. Before you check, yes, I’m already updated to a secure version. Using the storytelling method of producing content is actually something I’ve recently decided to implement on my niche website. It wasn’t my plan when first building the site. However, since I frequently use the products advertised, it made sense to incorporate my experiences into the brand. It’s certainly not easy putting my face out there for everyone to judge, but I do believe it will help me succeed in my ultimate goal. That goal is to earn a decent side income in addition to my web design job. Call me old fashioned, but I thought searching by entering text would always be the dominant method of looking up things. That rationale was backed up by over two decades of users typing in their queries. Of course, in hindsight, I realize a lack of alternatives is most likely the primary reason why. In 2019, speed will be more important than ever. That’s why we’ll talk about how speed influences websites and what you can do to make your site faster. I’ve blogged about my love of SEOJet on a few occasions. It’s a tool that provides an outline for building external link maps based on anchor texts. 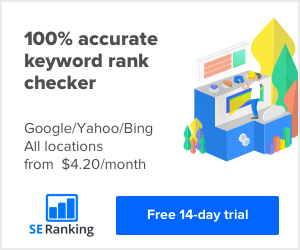 The idea is that with a strategy of focusing on quality backlinks, you’ll outrank a competitor with dozens or even hundreds more spammy backlinks. There are several case studies that show this to be true and yet many SEO agencies still try to get as many links as possible, regardless of quality. Back in my early days of web design & SEO with Yoast, I didn’t really pay much attention to the readability score. After all, if I could understand the targeted posts and pages, surely others would too. However, googlebot has evolved to a point where it really tries to emulate a live person. You can’t expect to trick it by placing a keyword over and over again without any rational explanation. As Yoast points out above, the user experience is an important metric in rankings these days. As far as website builders, Wix has come a long way. Yes, you can build a nice-looking website on the platform. However, if you want to compare it to a CMS such as WordPress, it is extremely limited. If you’re a business looking to be viewed as professional, Wix isn’t the answer. I’d say it is more suited for personal websites. Think of it as a modern Geocities or Angelfire. So it seems like the Yoast team has the integration figured out for Bing. For Google? That is still being determined. While Bing doesn’t have nearly as big of a market share as Google, it’s still a great source for organic traffic. The Bing Webmaster Tool’s Submit URL feature is nearly instantaneous. Simply copy and paste your URL in the box, hit the button, and a second or two later, you’re done! Contrast that with Google’s URL inspection tool which requires multiple interactions and a bit of patience to submit a URL, and Bing’s speed becomes much more appreciated. There’s no denying that MOZ’s Domain Authority and Page Authority metrics have been an invaluable tool for SEO’s. When used to compare websites with similar content, it aids to formulate a strategy for improving keyword rankings in search engines. However, with the rise in popularity of Majestic’s Trust Flow and Citation Flow, its dominance has waned somewhat. Now, it appears to take back the crown as the most trusted domain measuring metric.